While the Wii U and 3DS eShop stores have taken great strides in bringing Nintendo towards current-day standards in digital retail, there are still various areas of improvement. Just recently Nintendo has begun to sell retail downloads online that can, by purchasing from the official website in North America while logged in with Nintendo Network ID details, be downloaded to your system through SpotPass. Now Satoru Iwata has announced that fans of retail downloads may not need to wait so long for games to arrive, with a new 'pre-download' service that'll kick off with Super Smash Bros. for Wii U. The idea is simple — and familiar for gamers with Sony consoles, for example — in that you can pre-order a digital version of a game and do the bulk of the download before it's released. In theory you'll be able to pre-download most of Smash Bros. and, when midnight rolls around on release day, simply finish it off with the "requisite minimum amount of update data". If it's fully optimised we'd hope this will be a small 'unlock' key, which means you'll be smashing not long after those midnight launches. Details were thin in the investor briefing details, though it was also stated that retail download cards will also support the feature. No doubt it'll be explained in time how long we have pre-release to complete the bulk of the download, while it seems set to be rolled out worldwide. It's likely it'll become relatively standard after that initial run, while there are plans to offer the service on 3DS in 2015. Are you a download fan that's looking forward to quicker access to new games? Let us know. Well at least Nintendo is keeping up with one of the many next-gen features. Sounds cool but I like having the box with the disc / cartridge inside to display in my house! That's cool, but I'm getting the physical release. I'm actually impressed Nintendo are implementing this feature so soon after Sony done it. Yessssssss! Bayo1&2 took too long to download! I'm going physical but, if it's anything like the 3DS launch, I'll have it at midnight anyways. And the store is all of 5 minutes from my house. Any indication on how big this game will be? If this had been in place before last week I would have definitely gotten the digital versions of the Bayonettas. Will absolutely be going digital for Smash U now if this is indeed up and going before it's launch. @Jonny Two and a half years is 'so soon'? It's about time! All they need now is a real account system and some decent sales and I'd feel comfortable buying digital on their hardware. And no, calling up Nintendo to see if they can restore your purchases on a your new machine does not count as a proper account system. Cool.was gonna download this one so that works out well. Nice to see nintendo implementing these kinds of things. They really need to keep pace with everyone in terms of online aspects, can't afford to drop back or else half of their next console life span will be spent trying to be on par again. Ehhh... wow. How revolutionary. People don't have to be tormented by their own impatience... go Nintendo. This is fantastic news. While I rather get retail versions of games due to my very slow internet at least if I do have to go digital for a game at least I know I will be able to play it at launch. @Kaze_Memaryu 10 - 15 minutes? How fast is your internet? 500 MBps? I'm a big downloader and can see myself using this a lot in the future. It's actually great because I recently queried Nintendo UK about this in an email a few months ago. Also to me it's a big benefit downloads have over physical products. Best of all though it seems Nintendo are rolling this feature out for free, if I recall correctly Sony hide this sort of thing behind PS+ when it was first announced on the PS3. I'd like to see this be an eShop wide feature and not just for big N titles, Indies sell games on the eShop too! You are forgetting what happened last December. It's not only for those who are impatient but to avoid network/server issues as well during peak hours. Meh. I'm out of download space on my Wii U, and I don't really have the money for an External Hard Drive. It's a great feature for those who can make use of it, though! Great that they're getting this and smart move doing it first with SSBU to give it even more attention. They might actually swing some more digital sales with this. After my external HDD died Im not downloading anything I dont really have to or get for free, but I realize Im an old fuddy-duddy and this is a feature the youg'uns and hipsters want, so its a well timed holiday win for Nintendo. Nice! I'll be downloading because of the Deluxe Digital Promo! @BensonUii Yeah, last December was crazy! Just trying to access the eShop to download ALBW was horrendous! I'm always impressed with Nintendo when they decide to make moves that move them toward the future! @Kaze_Memaryu What are you talking about? If I was to dl at midnight it would take about 6 hours for it to finish. Also what about those on the west coast here in NA that will be playing it at 9:10 pm? What brand external did you have? Also YES for the article news! I really fail to see why this causes you such a problem. If you don't like it, don't use it. Great news for digital people! Me personally, I think I'd rather wait and just get the physical copy. But I guess if you really can't wait to play the game and don't want to take the risk of having to hunt it down in stores, then this feature is for you. If this works with various DLC packs (Mario Kart 8, Hyrule Warriors), I like this. If not - nothing will change for me because physical releases. @BensonUii This feature doesn't change much about it if Nintendo underestimates it again and lacks the server power, since peak times will simply shift to around midnight. Problem remains, eShop might bust again. DUN DUN DUUUUUN! Simple scenario: it's midnight. Since you preordered Smash, the automatic "predownload" service already got you all you need, except for the last packs of data. Since it's midnight, your WiiU grabs them - done. So, when will you play, assuming you're the average person? Chances are high that you'll need your sleep for the next morning, so midnight is outta the question. And before you can play, you gotta go to work or school. Sooo, until you actually get back, you won't play in the first place. And if your WiiU simply started the download at regular time, you might have to wait a minimal amount of time (that you could easily use to eat dinner) compared to having the download finished around night. @electrolite77 Way to miss the point, congrats. It's not about whether I like it or not - it's about how people praise pointless stuff because it supports their convenience without realizing that the change is minimal, at best. Great new feature but I'm still never going to download retail games for my Wii U until they have a better account system. Once that happens I'll be sure to use this feature. @RedYoshi999 Me too! It took me 10 hours (from midnight) to download Pokemon X. By that time I could have gone to the store and bought a physical copy. Plus the music is messed up on my digital copy. What if @MadAdam81 came home from school or work and there were no pre-order to begin with and have to buy Smash yet because he went to sleep early the night prior to release date and woke up late that morning and didn't have time to purchase Smash? With pre-order and pre-load, he could purchase it days ahead of release and just play it on release day after school or work. @BensonUii Tough luck. Also, I'm not against digital pre-order, not at all. But making such a fuss over this mostly meaningless stuff is really getting on my nerves. The benefit is negligible, yet people here call it "the future". What a load of crabs. But before people lose their minds again just because I don't submit to the general reception, don't let my opinion stop you from doing whatever you want. I'm just pointing things out, not trying to tell you not to make use of any features, regardless of how much I find them useless and overbloated. This will be nice; nicer if I can order the download codes from an online retailer like GAME. No problem at all. To each on their own. It's a useless feature for physical disc-only gamers. But for those digital purchasers who have slow to decent download speed, this is awesome feature. I actually read someone here way back then that he would have gone all digital of not for his slow connection. Now, he might be tempted to go digital now with this pre-load feature. Love the Twisted Mansion music in the eShop. there was a time, when nintendo made Nintendo Directs about faaar less important features. maybe they were so bored back then, which I can totally understand. nowadays they obviously got more on their minds. still, would've been nice to hear that announcement out of iwata's smiling mouth. @Peach64 seriously?! You can ask to do that?! Holy cow! Regardless, I agree, a phone call makes not an account based system... TBH in my only experience wih Nintendo's service, it was impeccable. I guess that's why I have trusted Nintendo this Gen with digital only... Good to know about the "can restore via phone call/service center" thanks! @Dipper723 same here! nice touch! Well, that saves me from staying up til launch. I am getting too old for that anyways. Are Nintendo starting to see the [online] light? @Zerodactyl I'm gonna do what the cool kids do (complain about something I don't have by wishing for it...) I wish I had a cool house to display my stuff in! Sorry, couldn't pass this one up. p.s. Only reason I've gone digital - no more space! I'm a digital guy now. This will be neat. I just need a new hard disk though. I was wondering what Pre-load was. Heh, nice! I work a graveyard shift yob, and the game is releasing on one of my off nights, so HELL YES! I agree with @Kaze_Memaryu kinda, though. This really shouldn't affect most people, except the impatient ones, or ones like me that would normally be awake at that time anyway. I'll start using this service once the Deluxe Digital Promotion ends. I hope this ends up on the New 3DS too. I started downloading full games when I went to purchase DKC:TF and I couldn't find a copy locally. This caused me to reevaluate my stance on downloading full retail games. I no longer trade games in to purchase new games like I have in the past....when I lacked funds; and I'm starting to get frustrated with boxes of games, CDs, and DVDs I have in storage in my basement/attic. I also came to the conclusion that I'm purchasing the initial experience of games similar to going to a movie, and I'm okay with that. I don't need to "own" a physical case and game. I have also experienced long download times due to the size of some of these games. Usually starting the DL at midnight and waiting until the next afternoon to play is fine, as Kaze_Memaryu pointed out. It really isn't that big of a deal. However, it is an improvement and it will benefit people for sure. In the case of Smash, I will most likely take advantage of the pre-order feature. My kids are both off school that Thursday & Friday for "teacher - in service" stuff, and I requested off from work for that reason (not smash). So it will be nice to play Smash shortly after midnight before my kids take over the next morning. I'll stay up late and play, sleep in the next morning while they play, and this will make for a great start to the weekend! Doesn't seem like an important feature, but it's nice to have I guess. Good job as always Nintendo. I think this is great, if for nothing but to bring parity with the other two platforms (This article neglects to mention that Microsoft has pre-download for some of their titles as well) I think that's the reason people who's primarily digital are very excited about this. Myself included. It's far from useless or unimportant. Pre-downloading essentially shifts a huge download digital buyers would have made at midnight on launch to an earlier point in time, which will vary by when someone pre-orders, thus reducing server load, sans whatever day-one patch is needed, if that's particularly small, shouldn't be a problem for Nintendo. The biggest benefit is for people who are midnight launch buyers. No waiting to download and install, no waiting in lines. Just launch and go. Not to mention that launch is Midnight EST in the States, so that's 11pm when I'm at home, or when I'm out on business out west, it's 9pm. It was a great thing to just hop on and play Sunset Overdrive when the clock hit 11 earlier this week. I had no idea this was a thing. People are really so impatient? @SetupDisk - It was a Western Digital MyBook. A Google search shows the HD is awesome but the enclosures malfunction often. It's working fine in a Roswell enclosure now. Well it would be if I ever turn it back on. Its ridiculous to me that you're so offended. This makes peoples purchases more convenient, of course they're pleased. One of the selling points of digital is convenience and this improves that without making any difference to you. Come on, why complaining about internal space. If you plan on going digital on the Wii U, it's obvious you will need an HDD, and Nintendo was kind enough to let us chose the external one we really want. Nintendo may be behind on a lot of things, but really, giving us the option of selecting our HDD without any installation was a great move, so I don't understand why people complain. Personally, once I decided to go digital only on my Wii U (less load time, no sound from disk reading, no disc swap, Digital Deluxe Promotion which means cheaper than retails on release date....I can't see no reason NOT to go digital except if you like collecting stuff or want to sell/trade back your games), I bought a Seagate 2TB HDD with its own power-source (for less than 100$, so it's not really a big amount of $ if you go for even lower than that, like 500GO), plugged it in the usb port of my Wii U, and after an auto-formatting: Voilà, no more space problem for my Wii U. It's a nice touch, but I usually go physical on big games like Smash. Of course this was given to North America, and of course you can only do this via the website. I hope that Europe get this feature and I hope that they'll be able to implement it into the eShop. @electrolite77 Criticism isn't bound by any conditions, so I don't see how anything should NOT be worth criticizing. Besides, I wasn't talking about people, I was solely referring to the argument that this is feature supposedly "the future". That's a bloated, false statement. The future changes our lifestyle, environment, our societal standards in ways that our general experiences in life are largely impacted. This, however, is just a laziness tool, and the praise it's getting is completely ridiculous for what little change it creates. I like having the box with the disc / cartridge inside to display in my house! Just unecessary clutter to me. All my retail boxes go in a corner out of sight or under the bed. @Kaze_Memaryu by your logic, pre-downloading is about a laziness tool as sitting on a couch playing the games you're downloading... Unless you're just against digital in general. I think you're looking at it wrong, it's not a tool for laziness, more than a tool for efficiency for Nintendo as it pertains to server capacity and whatnot. It just benefits us as a consumer for the ability to play our games sooner. "The future changes our lifestyle, environment, our societal standards in ways that our general experiences in life are largely impacted." It does when you think about it. Me pre-loading a game helps Nintendo out by not overloading their servers on launch. If the servers aren't overloaded, then more people can play their games sooner. It saves Customer Service the headache by not having to field a bunch of angry emails and calls, It saves the IT guys a headache of trying to rush around and fix server problems. I'm not wasting gas by driving. The less gas I'm using, the less harmful emissions are being pumped into the air. Also, It's one less disc that has to be manufactured and every disc that's not manufactured is a carton that doesn't go to a landfill eventually. BTW, isn't calling something a "laziness tool" another way attacking people and calling them lazy for utilizing a service being provided? All physical for me thanks. @Sir_JBizzle Depends. I'd like to say you're overthinking this, but that's be hypocritical of me, since I do just the same. But to get that straight: pre-download takes absolutely no server load at all. Even worse, every single WiiU which is set to preorder for this, will start downloading at exactly the moment the pre-order bulk of data is available, which is just as bad as all people accessing the eShop on release day. So no, there is barely any less server strain than normal. And there are many situations in which a pre-download feature could be beneficial, but they're mostly very specific. The same can be said about almost anything: someone's bound to find use in anything, but that doesn't magically make it worth it. And that's what many don't seem to get: the effort Nintendo put in this so-called "feature" isn't magically useful just because people like the idea of having a game on their storage earlier, despite mostly not being able to play the game earlier. If I may be so bold: Microsoft did a better job at this. On XBone, you can download a game, and access it as soon as the basic components are downloaded. I think Forza 5 allowed you to drive on the first track as soon as the required files were loaded, and you could proceed to play while the rest kept going in the background. THAT is how you do it right, even if it's almost the only thing Microsoft did right. But no, I'm not against digital games, just how they're distributed and marketed. Digital gaming itself could be much more, but right now, it's primarily used to save package production (though not out of environmental concerns). It also creates the illusion of advancement, when all it does is provide a platform to download stuff, which is what we've been doing since the internet was founded. As for the "laziness tool" part: that's up to subjective reception. I wouldn't say calling a person (or company) lazy is an insult, but a flaw being pointed out. I don't care if someone feels insulted to that, since it's not meant to be insulting from my end, but berating. Still, even you don't really read my posts (considering their length, I can partially understand, though): I was pointing out how many people praised this "feature" as a step in the right direction, while I was pointing out how nonsensical that statement was. Awesome! I've gone all digital and it just keeps getting better and better! Good idea, but I prefer a physical copy though. It's all about that resell value for me (though selling SSBWiiU won't come until very, VERY late in the Wii U's lifecycle or if a new SSB is announced for the next-gen, whichever comes first). @Kaze_Memaryu Ha. I do tend to overthink things a bit sometimes. I've read your posts and I do agree with you, and I should have pointed that out in my last post to you, about it being heralded as the "future" (in the context of it being a mind blowing thing) it just seems like the natural evolution of digital servicing. Like I said in my way earlier post, I think most people are excited about this because from a Nintendo fan perspective, it seems like they are getting with the times, as pre-downloading brings them parity with Microsoft/Sony. I feel like that's what was meant by a step in the right direction for Nintendo specifically. Though I feel like we're all just speculating about how the pre-loading is occurring. We don't know if they do all the pre-orders en masse, or at Point of Sale (given that you can't get a refund for digital pre-orders typically) for all we know, when the pre-order bulk data is ready, they could distribute it in waves as opposed to all at once, similar to how Google distribute updates to their core Android apps. Without knowing what happens behind the scenes, we can only speculate what effects things have on their servers. Though even still, now that you have the pre-load people out of the way, that leaves everybody else who will just go to the eShop on the night of which will for certain lighten the load on the servers and help downloads speed along. I'm not sure I get the Forza example you gave. Does this pertain to Pre-loading the game, or when it's already available. I'm not a Forza guy, so I don't know how they handled that. However, when pre-loading went live for Sunset Overdrive, I took advantage of it, and on release night, there was a very small install, which took less than a second, and I was ready to play the full game. I'm assuming that install was the unlock key, which I'm hoping that will be the case with Smash (and it seemed from the tone of the article, what the author is hoping is the "minimum requisite data") That's the selling point of the "feature", particularly if you're all digital. if you can have pretty much the whole game on the hard drive, ready to go at launch, then all you have to do is boot up the game at midnight and you're good to go. No waiting in line at midnight (for the midnight launch customers). Also, for those that know they are getting the game digitally, but they aren't staying up to play it at midnight, then it will just be ready for them when they do decide to play. So I don't know what the disconnect is with you and this service, outside of the fact people are excited about it. Still, this pre download thing would be only useful if you wanna play midninght. Here, it MIGHT work (internet speed is pricey here, average is 2mb shared), since downloading over 10GB games would take a day, or 12 hrs. You know, the times you used are applicable to developed countries. This can help if you live in places where the average internet speed is low, and takes almost an hour to download 1GB. Still, int his case, why go digital anyway if we can get the physical release instead of waiting a lot. So yeah, this isnt such great feature worth drooling over. @electrolite77 If you insist on repeating nonsense from NeoGAF, at least figure out the definition of the words you use. You have a login to the Nintendo Network. Every title you purchase on the eshop is linked to that account. 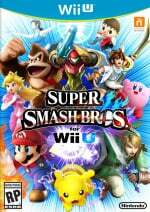 If your harddrive or Wii U blows up, you can redownload that title, no questions asked.... The Sony circle-jerk, aka NeoGAF passed around this nonsense rumor to discourage people from buying a nintendo system, and apparently it worked really well as people on a Nintendo site, of all places are still repeating the already proved a million times-wrong rumor. Whats even more important to have is backwards compatibility,. All of those purchases you bought on x360 and PS3 are forever locked those systems. Buy a PS4 or xBone and you can't play those purchases on your new system.... At least with the Wii U successor I will be able to play everything I bought on Wii U.
I don't go on Neogaf. I know what Nintendos account system is. I experienced it first hand when my Wii was stolen. I have digital products with many suppliers and Nintendos is the only one that is so strict with the DRM. Downloads tied to hardware is not good enough and plenty of people think so. Backwards compatibility is an unrelated red Herring you've thrown in as part of a desperate attempt to defend Nintendo. I have a Wii, I don't need backward compatibility. Handy tip - if you're going to be very patronising don't be completely wrong as well. No go and sit in the corner. This is a good thing, deal with it! @Gridatttack Okay, that's a reason I can definitely get behind, especially considering flatrates are apparently not all that common even around the US (I don't know details, but flatrates seem to be expensive there). And I'm with you on preferring retail, anyway, but I do see the benefits of digital (like the overly-generous MK8 promotion, which would've been a bit difficult to work out on a retail-only basis). Yay! I'm excited to be able to buy digital versions of retail games & then play them just after midnight on release day instead of having to wait until the download is finished in the morning or when the shops open in the morning. Awesome, thanks Nintendo! Well, once they announce the size of the game I'll be able to decide if going digitally is the route for me. I really don't want to have to wait for a 20 gb download since my internet is substandard compared to, most of the world these days. If it is going to be that size I'll definitely be getting a boxed copy, It'd be quicker to drive to the store even if I started downloading it overnight. Im definitely going to preload this but Im scared that Im gonna have to delete a game or two, because I only have 9gb free on my Wii U. I wasnt too worried until I realized that there is going to be: around 1000 trophies, over 400 HQ songs, and all of the HD trailers plus over 40 HD FMVs for completing Classic Mode. Are there any updates on this? The fact that they didnt even mention this during the latest Nintendo Direct makes me question if its actually happening.